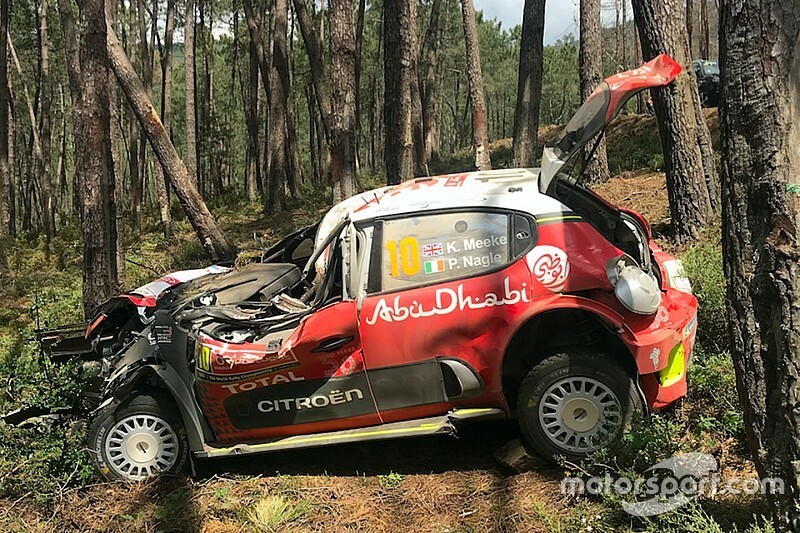 Citroen team principal Pierre Budar believes the strength of the manufacturer's C3 World Rally Car saved the lives of Kris Meeke and Paul Nagle in their Rally Portugal crash. 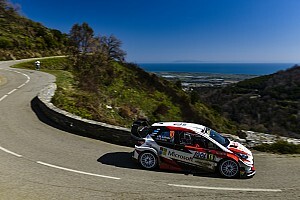 Meeke went off the road after turning in to a fifth-gear left-hander on the second run of the Amarante stage on Saturday afternoon and slid into trees lining the outside of the bend, destroying the front end of the C3. Co-driver Nagle was uninjured but, after stepping from the car, Meeke was airlifted to hospital after complaining of back pain. He was released on Saturday evening, and flew home a day later. 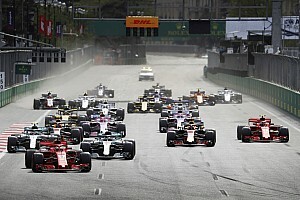 "We saw the car slid when it got on the loose and the back of the car broke away," Budar told Motorsport.com. "There were a couple of smaller impacts and then this very big impact with the car's a-pillar against the tree. This section of the car wrapped itself around the tree. "This was the biggest crash I have ever seen and the guys who have been here with Citroen for a long time said it was a massive one. "After the crash, we saw from the television Kris and Paul were out of the car and then we saw the car: wow, it's really impressive. "When you look at this car, you cannot think that the two guys inside are 100% safe – and they are. They have no injury, nothing broken. "The design of the car? Thanks very much – it saved Kris and Paul." Budar explained the philosophy behind the build of the car - the roll cage of which was badly damaged after absorbing energy on impact. "We could build a tank," he said. "But it's a balance between the G-force you get from making a tank and the absorption you can get from the roll cage. "The cage has absorbed some of the energy in the accident to stop it going straight to the bodies of the crew. 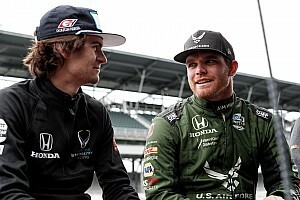 "We could make the tank, but then any crash will be very aggressive on the bodies of the driver and co-driver. "Our choice in terms of design are 100% more towards safety when we make the roll cage and all areas of the car – it's in our culture. "When we look at the regulations from the FIA, we always look to go even further." 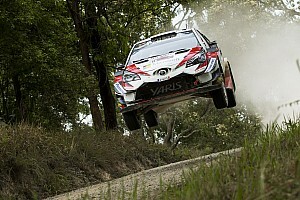 Meeke felt the price of the accident was high for what was a minor mistake of turning in late. "The consequences were pretty severe, because we ended up in some big trees," he said. "The car certainly doesn't look so pretty. 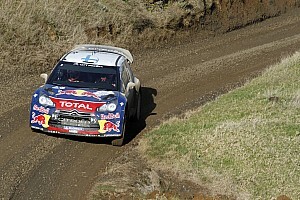 "I have to say thanks to Citroen for building such a strong car, and to the medical staff who looked after me so well."